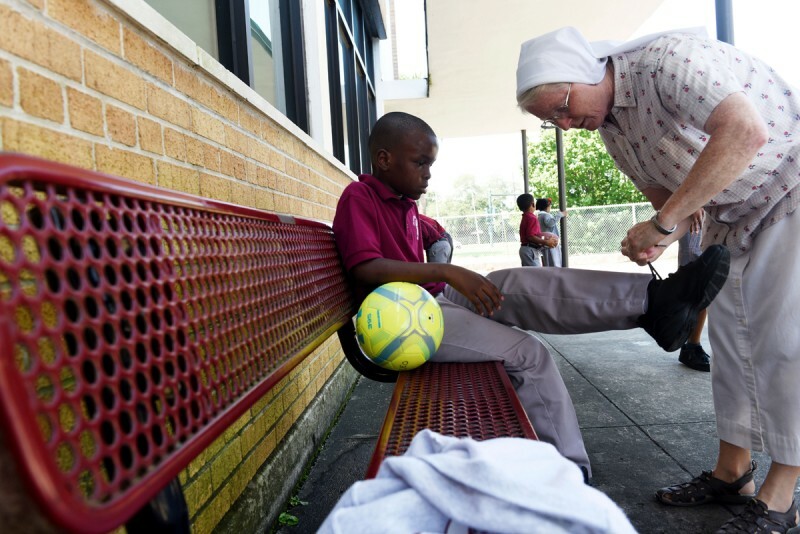 NEW ORLEANS—A more or less orderly line of four-year-olds, the boys in uniform blue polo shorts and the girls in plaid-checked jumpers, line up in the corridor of St. Rita Catholic School in the neighborhood known as Uptown. 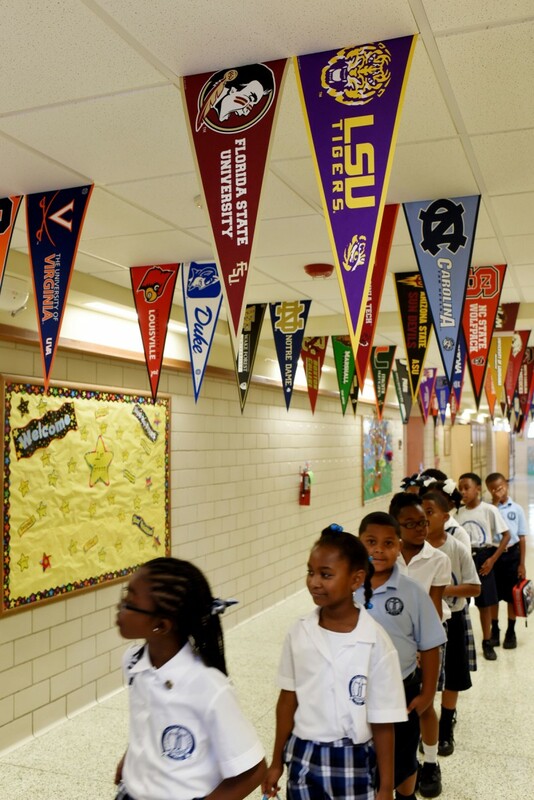 College banners hang from the ceilings, inspirational passages on the walls, and a sign on the door that says these newest, youngest St. Rita scholars will be heading to college in 2029. Catholic schools like this one have exceptional records of success; almost all of their graduates do, in fact, go on to college. But that hasn’t been enough to keep them from hemorrhaging students. Confronted with falling birth rates and demographic shifts, rising tuition, the growth of charter schools, and other challenges, parochial schools are seeing their enrollments plummet. And it’s not just in New Orleans, where the archdiocese has also had to contend with the exodus that followed Hurricane Katrina, and where 20 Catholic schools have closed in the period beginning even before Katrina hit, including three last year. Catholic schools nationwide have fewer than half as many students as they did 50 years ago, and the decline has resumed in the last 10 years after leveling off briefly in the late 1990s, according to the U.S. Department of Education. Nearly 1,650 schools have closed or been consolidated in the last 10 years, 88 of them last year alone, the National Catholic Education Association says. Nor is it only religious private education that has experienced this trend. Secular private—which call themselves independent —schools have seen their numbers drop since the recession, too, the Education Department reports, for many of the same reasons, along with growing interest in homeschooling among higher-income families. The falloff is forcing private and parochial schools to launch sophisticated marketing crusades—digital billboards along New Orleans’ Pontchartrain Expressway flash the local archdiocese’s slogan “Why Catholic Education?” that’s part of its campaign to enlist students, for example—and other strategies. Some have elevated their fundraising, using methods as sophisticated as what many private colleges and universities practice. They recruit students from other countries. They offer special programs and events in the summers that bring in revenue. They’re redeveloping buildings and property into profit-making conference centers and hotels. “Independent schools today cannot be the schools on the hill of yesteryear and expect families to be knocking on their doors and writing checks,” said Nick Stoneman, president of the 157-year-old Shattuck-St. Mary’s School in Faribault, Minnesota, which has added a campus in Beijing with 180 Chinese students, turned its former infirmary into an inn, opened a school store and two cafÃ©s, and expanded its golf course from nine to 18 holes and sold off house lots around it. Shattuck-St. Mary’s is now considering opening more satellite campuses in China, and in Indonesia, Thailand, Singapore, and Vietnam, and one in Chicago on property the rest of which it would develop to produce revenue for scholarships. “That’s the kind of thinking independent schools need to have now,” said Stoneman, a former Wall Street bond trader and investment banker. Applications are dropping and costs are up as independent schools wage a facilities arms race and try to deal with escalating technology and staffing costs—at Catholic schools, because the number of nuns is down 72 percent since the mid 1960s, and they have gone from comprising most of the teachers to fewer than 2 percent of them, requiring the hiring of higher-paid lay teachers. The cost of offering financial aid to fill seats has also skyrocketed as enrollment has declined; nearly a quarter of private-school students get financial aid, compared to 17 percent 10 years ago, and the average grant has grown by nearly 25 percent, the National Association of Independent Schools reports. Related: What does it mean to have your whole middle-school curriculum designed around games? Median tuition is up by nearly 52 percent in the last 10 years, to $22,301, at private day and $50,811 at private boarding schools, the independent-schools association says. Average tuition at Catholic schools is $3,880 in primary and $9,622 in secondary grades, according to the National Catholic Educational Association. Charter schools, which are free to families, are also proving to be formidable rivals. Charters serving primary students in urban areas, which are supposed to provide an alternative to public schools, get almost a third of their students from private schools, a study by the Cato Institute found. That’s been a particular challenge in New Orleans, where the National Alliance for Public Charter Schools reports that 91 percent of public school students now go to charter schools. Even in suburbs, the institute found, more than one in 10 charter school students previously went to private schools. So is a boom in homeschooling, driven in part by resistance to standardized tests and the Common Core. Higher-income parents who work in fields such as technology, with flexible schedules—who might previously have chosen private schools—are increasingly turning to homeschooling, McGovern said. Even harder to manage is a kaleidoscope of demographic changes. Almost half of all kindergarteners through high school seniors in America are now nonwhite, the U.S. Department of Education says, and a quarter are Hispanic, without a private or Catholic school-going tradition. White Catholics, meanwhile, have moved from cities to suburbs with good public schools, forgoing Catholic education for their children, an analysis by the Census Bureau found. Catholic schools, many of them in urban areas that are increasingly Hispanic, see Hispanic families as a critical potential market. 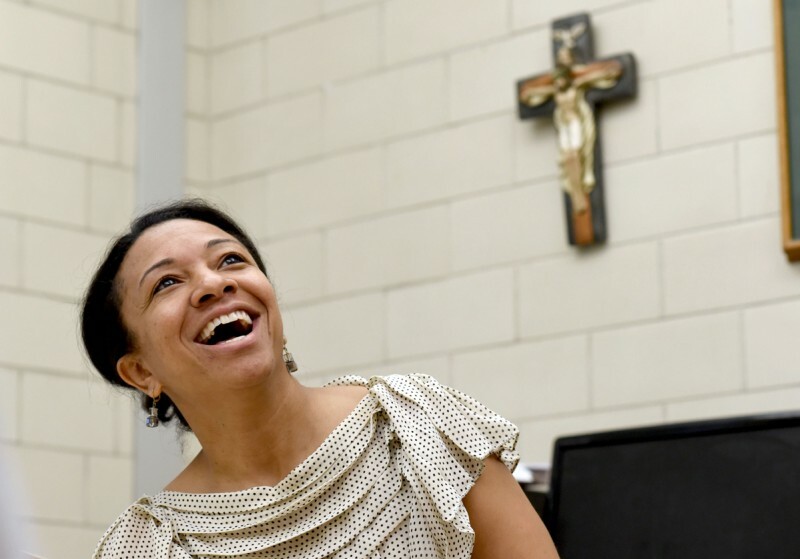 The Alliance for Catholic Education, a center based at Notre Dame, is trying to help them respond to it, with a goal of quadrupling the number of Hispanic students in Catholic schools to one million by 2020. “That’s something many dioceses are just now waking up to: reaching out to these groups,” said Sister John Mary Fleming, executive director of Catholic education at the U.S. Council of Catholic Bishops. The Segura Initiative of the Diocese of Richmond, for example, is offering financial aid to Hispanic families to go to Catholic schools there, whose Hispanic enrollment has climbed by 35 percent since 2010. Similar initiatives are under way in Tucson and Chicago. It’s part of a new way of looking at the world for Catholic schools—namely, not taking for granted that church members automatically will send their children to the parish school, but instead emphasizing the 98.6 percent graduation rate for Catholic schools, nine out of 10 of whose students go on to finish college within four years. Those results are higher than the national averages of 81 percent and 39 percent, respectively. Catholic schools are making that argument on billboards, in social media, in radio ads in Grand Rapids, and in an app in Joliet, Illinois, targeted at parents in their 20s and 30s giving information on appropriate Christian names for children, steps to baptism—and where to find the local Catholic school. There’s one other trend with huge implications for embattled private schools: the school-choice movement. Voucher programs are now in place in 13 states and the District of Columbia, according to the National Council of State Legislatures. That raises another problem: Since the vouchers often go to students from the lowest-performing public schools, some arrive as much as two and three years behind grade level, Catholic school principals say, threatening to drag down those high average test scores and success rates. 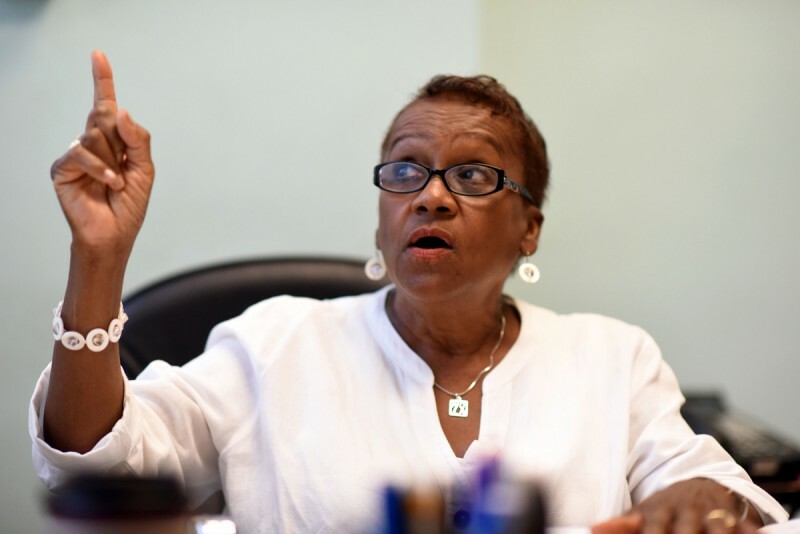 Across New Orleans, in the Gentilly district, St. Leo the Great School Principal Carmel Mire remembers knocking on doors to rebuild enrollment after Hurricane Katrina. Reopened with 180 students, the school is now up to 265, many of them in Louisiana’s Student Scholarship for Educational Excellence voucher program for students from the very lowest-performing public schools. “That’s how we’re keeping them,” said Mire, a no-nonsense retired public-school teacher who wears a necklace that reads “NOLA,” as she hovers over a noisy playground full of children. The school has lost not only students, but four teachers this year alone to charter schools—one in the first week of classes. 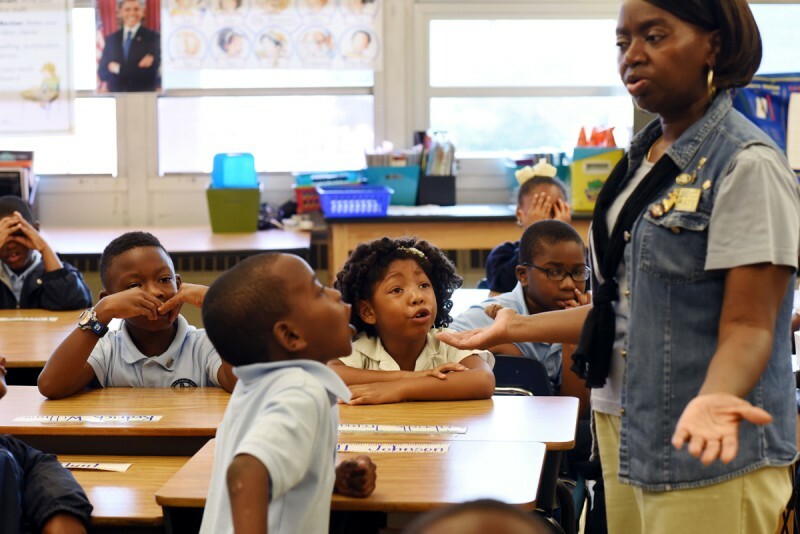 This story was produced byÂ The Hechinger Report, a nonprofit, independent news organization focused onÂ inequality and innovation in education. Read more here.